There is no denying the fact that stylish star Allu Arjun has become a huge star now. 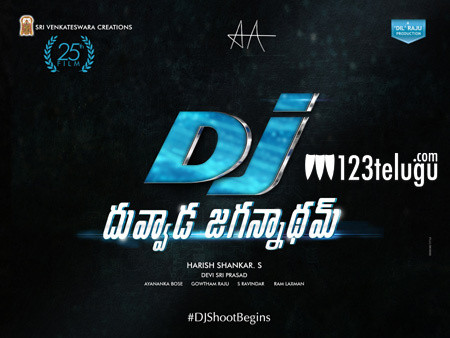 All his films are eagerly awaited and so is his latest film DJ(Duvvada Jagannadham). The first look of the film will be revealed in a couple of days and fans are eagerly awaiting to see what kind of film will DJ be. Some say that Bunny plays a hilarious brahmin character in the film which will be boasting of some good comedy. While others also predict that after the success of Sarrainodu, Harish Shankar will showcase Bunny in yet another aggressive role which will be quite massy. The curiosity is surely building with each passing day and let’s hope that this project presents Bunny in a completely new avatar. Pooja Hegde is cast as the female lead in this film which is produced by Dil Raju. DSP scores music.